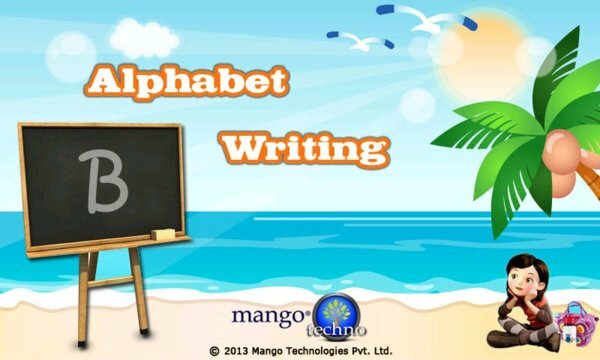 Learn to write and recognize alphabets in a wonderfully child-friendly way for Hindi and English. 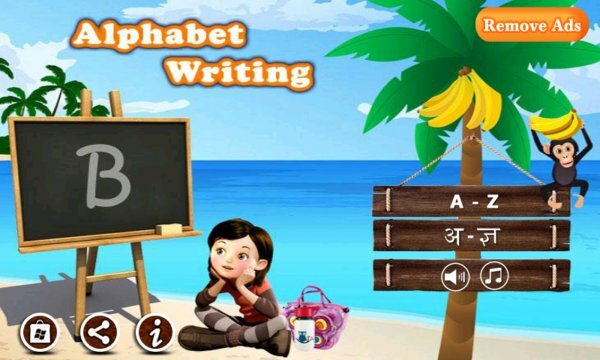 App teaches how to write (trace) alphabets and makes it fun by showing and spelling out. You can pick your own colors, turn off sounds and trace teaching. It makes fun learning to write a new language script a fun filled activity both for kids and adults. What is more encouraging that app guides the kids how to trace the letter by showing animation before kids actually starts tracing the alphabet. Forming Letters - Kids get to practice by doodling on the alphabet image and make up the shapes on the letters. It becomes delightfully distraction-free way for kids to learn the letter and its name. Kids can tap on the icon to verify that they've learned the names correctly. Once letter is correctly traced, corresponding word is spelled out with its object image. To move to next letter just tap on the screen or press back button. By the time kids are done, they know the appearance and pronunciation of the letters by heart. We would love to hear from kids and parents. Your feedback is very valuable to us; it helps us in developing awesome apps that kids can enjoy.